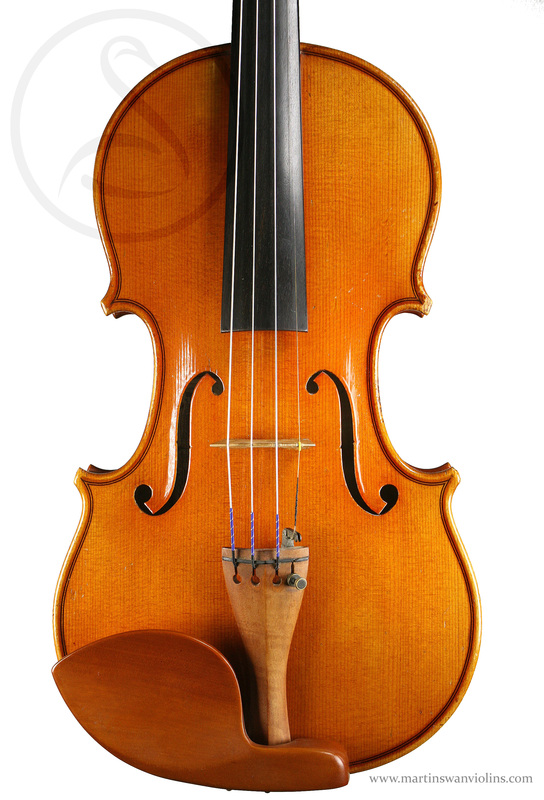 Mario Gadda is one of the best-known names in modern Italian violin-making, and this violin is a great sounding example of his own model in excellent condition. Mario Gadda apprenticed with his father Gaetano Gadda, who in turn apprenticed with Stefano Scarampella. In this sense, he is the direct inheritor of a Mantuan tradition going all the way back to Balestrieri. 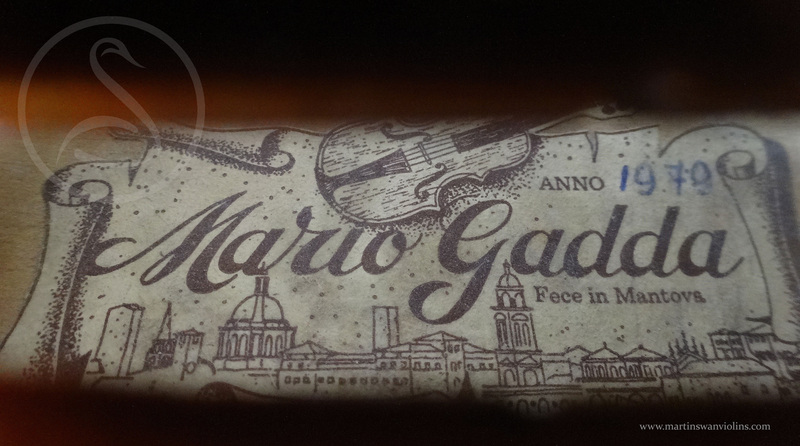 In later years, Mario Gadda became involved in all sorts of louche practices, making and certifying instruments “by” other more highly regarded makers, passing off his own work as his father’s or Scarampella’s etc. 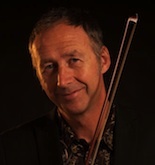 A pity, since he was a very talented maker, and the straightforward violins carrying his own label are excellent. 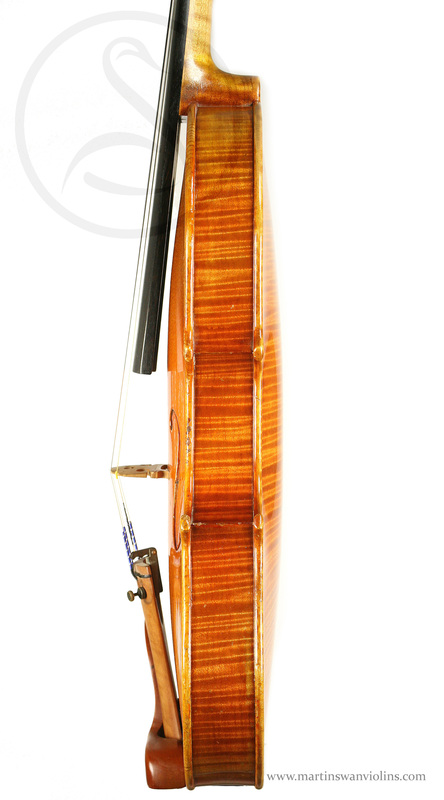 This instrument is a case in point – a fine example from 1979, an elegant broad model with flat arching, beautifully executed using top quality wood. The condition is unusually good – no cracks or damages, very little wear to the varnish, just a few scuffs to the edges and the upper right corner. You regularly hear people windbagging about “typically Italian” sound, but there’s no such thing! There are good violins and bad violins from every part of the world, bright and dark, loud and soft. 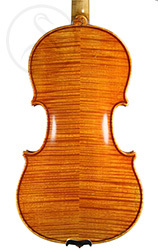 This violin is a very good violin which happens to be Italian. The sound is rich and fruity, slightly dark and very smooth – an unusually warm and enveloping sound, yet without sacrificing any crispness or high harmonic content. 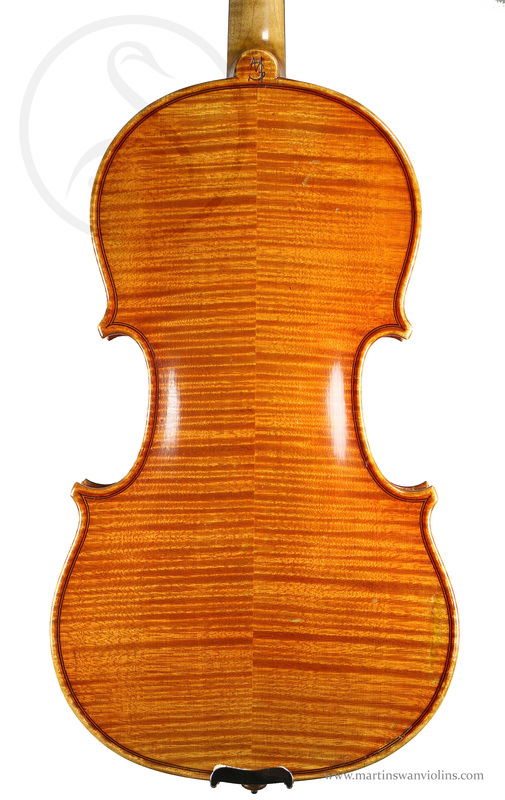 It’s hard not to love this violin – it has a real story-telling quality which is down to the complexity of the tone and the responsiveness of the wood. 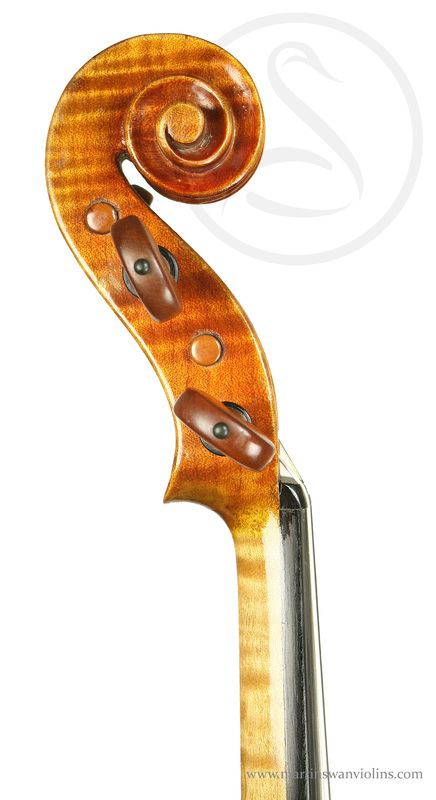 It’s a very friendly instrument, comfortable and easy to play but equally at home with virtuoso repertoire. A real stand-out …!